Quite possibly London's most famous pub. 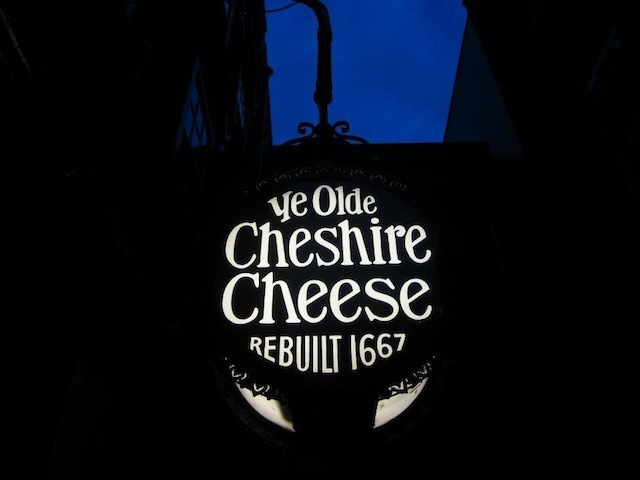 Ye Olde Cheshire Cheese has been around since the days of Pepys and Wren, nourishing such luminaries as Samuel Johnson and Charles Dickens. 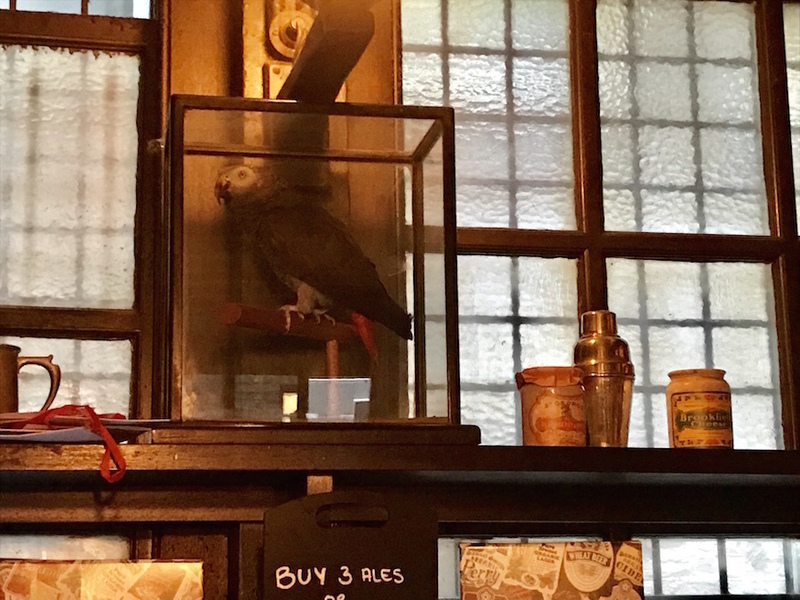 Another resident celebrity was Polly the Parrot, who sparked international headlines when she died in the 1920s — see if you can track down her taxidermic remains, on show in one of the rooms. Another lost tradition from that era was for the pub to give eminent visitors a free pipe and tobacco upon entering. Times have changed, and you'd now be thrown out for smoking your own. 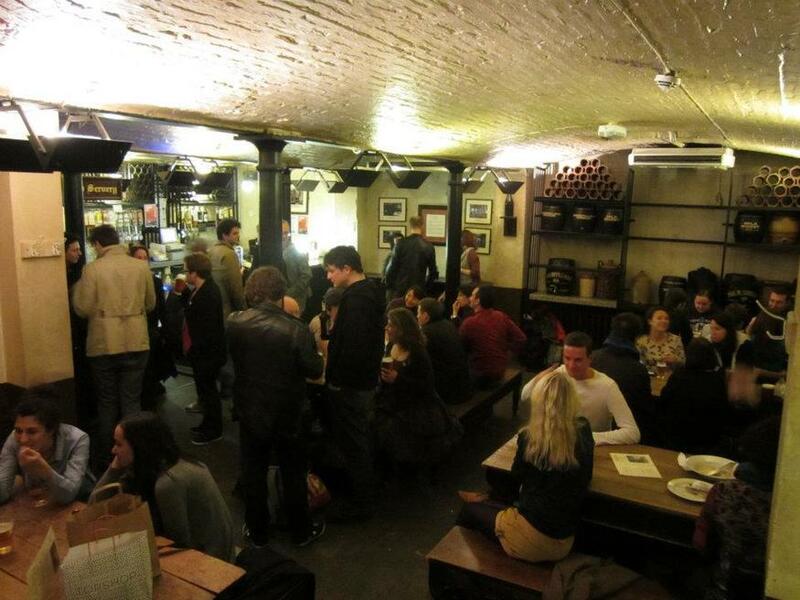 The pub's unique interior sprawls out over at least four levels (we discover new areas every time we visit). Be sure to head down the narrow stairs to the lower vaults, which are thought to predate the 17th century upper-storeys. One highlight no longer on display is the series of pornographic tiles that once adorned the fireplace. Hilariously, The Telegraph is too prudish to publish images of them. 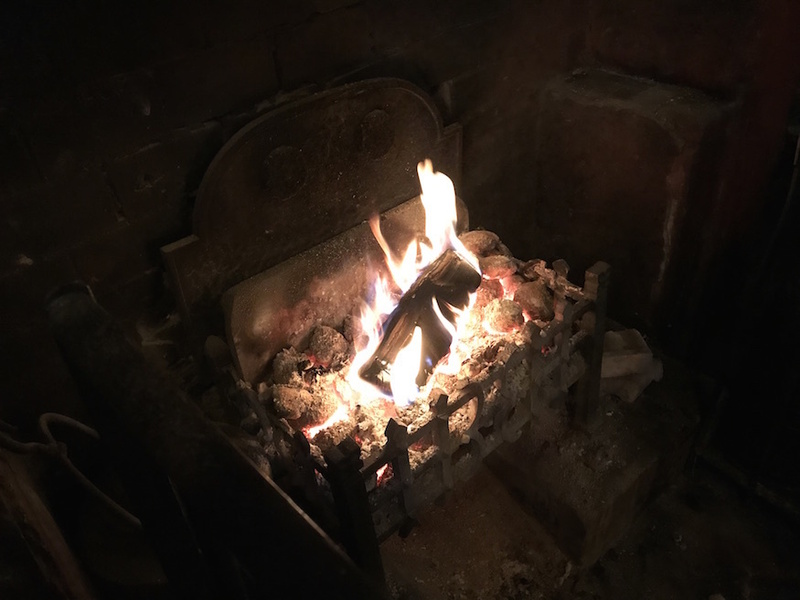 Speaking of the fireplace, it was supporting a roaring coal fire last time we ventured inside... on the hottest day of the year. As a Sam Smith's pub, the food and drink range is unexciting but inexpensive. With a dozen rooms, no phone signal, and — to confuse things further — a pub of similar name just around the corner, this is about as challenging a rendezvous point as any in London. But you can't beat that history.